With Brazil failing to win the pool unthinkable, World Cup Group E bitcoin betting boils down to a tussle between Switzerland, Costa Rica, and Serbia. The head-to- heads within that trio could act as knock-out games, making for interesting viewing and betting. At least two of the nations within Group E will consider this their “golden generation”, while Serbia – although more experienced – are an ageing side, playing their final World Cup with the stalwart trio of Branislav Ivanovic, Nemanja Matic, and Dusan Tadic in the side. Most of these nations have never faced each other in competitive matches in the last 50 years, aside from Costa Rica and Brazil, who met in the 2002 & 1990 World Cups and the 1997 Copa America. That means there is very little history to go on here other then Brazil’s superior quality; it really is an interesting group that could realistically contain two quarter-finalists. Over the last two years Tite has complete changed the mood in Brazil. Dunga’s drab football has gone and in its place is a robust but creative 4-3-3 that combines a powerful midfield with brilliant attacking football. There is arguably more balance in Brazils first 11 than any other nation at the World Cup. They were the first nation to qualify for this summer’s tournament, scoring 41 goals in 18 games to finish 10 points above second-placed Uruguay. Of course, the ghost of that 7-1 destruction by Germany – four years ago on home soil - still haunts Brazil, and indeed the pressure of the tournament could prove to be their undoing. Brazil should easily win the group, but then no-one expected them to concede seven in a World Cup semi-final in front of their own fans. Neymar is known to be a disruptive influence when things are going against him, as he was in a tempestuous match against Ecuador last year, and with his future at Paris Saint-Germain in doubt he might not be in the right frame of mind to provide the necessary goals. Not that Brazil are quite so reliant on Neymar anymore. Philippe Coutinho, Gabriel Jesus, Roberto Firmino, and Willian are all in good form at club level, while Dani Alves and Marcelo provide plenty of attacking support in wide areas. Plus, their resilience in midfield should help Brazil grind opponents into submission; Fernandinho, Casemiro, and Paulinho form probably the best midfield trio at the tournament. Brazil should easily win the group, but then no-one expected them to concede seven in a World Cup semi-final in front of their own fans. Ranked 11th in the world, Switzerland could surprise a few people this summer. The Swiss haven’t won a knockout game since 1954, but have qualified from the group stages twice in a row, meaning the nation will expect to finish above Costa Rica and Serbia. This is the final opportunity for their Golden Generation to reach a quarter-finals, but the added pressure of this expectation is only likely to add to their inconsistency. They only just squeezed past Northern Ireland in the play-offs having been unlucky not to top their group (Switzerland won 10 of their 12 games but defeat in Portugal held them back). Their stuttering performances in key matches won’t come as a surprise to fans of Arsenal or Stoke City; Switzerland’s star players Granit Xhaka and Xherdan Shaqiri often go missing on the big occasion. Their primary creative area is on the flanks, where full-backs Stephan Lichsteiner and Ricardo Rodriguez provide excellent crossing ability on the overlap. The only problem is that Switzerland don’t have a big man to finish off these chances. Benfica’s Haris Seferovic plays as a lone striker, but he has scored a mere four goals in 19 games in Portugal this season. A lack of goals could cost Switzerland a place in the second round, particularly because one of their opponents, Costa Rica, are excellent at frustrating opponents with a deep defensive blockade. Just a penalty shootout away from the semi-finals at the last World Cup, Costa Rica have high hopes of another big upset in Russia. Jorge Luis Pinto has since been replaced by Oscar Ramirez, but he has continued with the same defensive tactics and 5-4-1 formation that brought them a 0-0 draw with England and a 1-1 draw with the Netherlands four years ago. They clearly benefitted from the heat in Brazil, which obviously won’t be the case this time around, while most of the squad remains – meaning Costa Rica might be a bit too old to make headlines again. Most of their starters this summer will have more than 60 caps, including star player Bryan Ruiz, now 32 and rarely playing for Sporting. Their other notable hero from 2014, Joel Campbell, has struggled with injuries ever since and has started just one game for Real Betis in 2017/18. Costa Rica have failed to score in each of their last five matches, a record that could well be extended to the beginning of the World Cup given their pre-tournament friendlies are against England and Belgium. Ramirez will be relying on some defensive heroism to steal points from Serbia and Switzerland. These are exciting times for Serbia. Not only did they qualify with ease, finishing top of their group and losing just a single game, but they have also embarked on a new era under Mladen Krstajic, who is getting the most out of their younger talent. Krstajic took on the position in a caretaker role after Slavoljub Muslin was fired at the end of the qualifying campaign and lengthy clashes with the Serbian FA, primarily over his refusal to start Sergej Milinkovic-Savic. Krstajic has changed the formation to accommodate Milinkovic-Savic and to good effect, most notably in a 2-0 friendly win against Nigeria. They are a talented young side, too, with the likes of Aleksandar Mitrovic, Marko Grujic, Milos Veljkovic and Andrija Zivkovic all likely to start this summer. Mitrovic’s excellent form on loan at Fulham in the second half of this season is excellent news for Serbian fans; their lack of striking options had been a cause for concern until now. The target man will get plenty of service from Tadic and Adem Ljajic. Serbia’s biggest problem is in defence. The ageing Branislav Ivanovic and Aleksandar Kolarov remain first-choice, for example, so it is unsurprising that they conceded 10 goals in their eight qualifying games against Ireland, Wales, Georgia, and Austria. Nemanja Matic and Schalke centre-back Matija Nastasic will need to be at the top of their game when facing the might of Brazil. Any Group featuring Brazil is immediately guaranteed to grab attention, but bettors needs to follow their head not their heart. The Selecao are often faded by shrewd bettors who know that the weight of public money regularly over-values them. Regardless of Brazil delivering, the scrap between Switzerland, Serbia and Costa Rica provides some fascinating opportunities for World Cup Group E bitcoin betting. 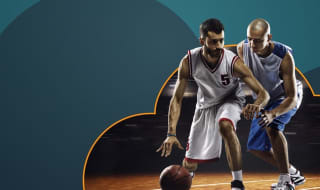 There are a huge range of markets available at Cloudbet; take advantage of our great value odds, high limits and the advantage of betting on the World Cup with bitcoin. Anyone backing a high number of goals based on the previous matches would have been in for a rough ride in this group's first matches. Serbia and Costa Rica showcased their defensive capability in a largely even victory for Serbia. Though the Balkan nation's superior height won throughout in what is becoming a tournament of set-pieces. Brazil's fearsome attack stuttered. It took a world-class finish from Philippe Coutinho to break the deadlock but their defence, again, was left wanting. Switzerland proved their value by constantly harassing Brazil, keeping Neymar and Gabriel Jesus quiet is a feat in itself. Take a look at our World Cup overview to read about how VAR and set-pieces have influenced this year's tournament.